Arnold Alois Schwarzenegger is 71, Yes The Terminator himself is now that same age as Camilla, Duchess of Cornwall. He always said he would be back, but now surely the great glazed Austrian ham is taking the Vista, baby! Is the world ready for an antique, bearded Terminator? 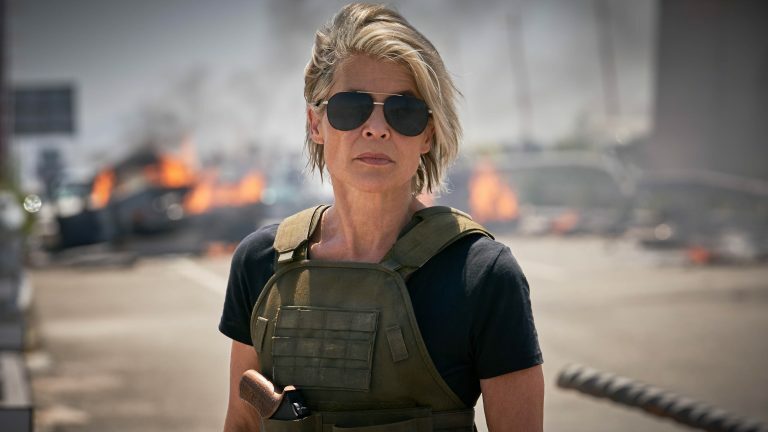 With Terminator: Dark Fate fated to darken our door It’s hard not to see at it as the last desperate fart of a decaying corpse, given how many times the franchise has stunk out the cinema since Terminator 2. The issue is Judgment Day ended the saga just perfectly; it bundled up loose ends, paid off character arcs and finished on a hopeful but bittersweet tone. One reason Cameron stepped away from a third movie is that he lacked a compelling idea for it and felt he had told the story with the original two. Alas, this franchise will not stop. Ever. Until we are dead. Terminator 3-5 make for a bizarre trilogy of failed trilogy starters, showing that without Cameron the series was haphazard. They also failed in convincing fans the saga had anything new worth saying, giving us only hollow variations on what fans wanted. We have no reason to trust the Terminator franchise after being offered a preposterous number of “do-over” films. Every Terminator film “permanently” stops Skynet. But in our hearts, we know there’s never a “final” Terminator film, the same way there’s never a “final” Friday The 13th. We know that no new instalment can exist without voiding the previous film, which is why after Terminator 2; there was no such thing as a good Terminator 3. Terminator: Salvation at least tried to break away from formula, eliminating time-travel or recycling the cyborg bodyguard idea. That said, Salvation was a muddled drag, the story carries the scars of the movie’s messy development, and it managed the rare accomplishment of drawing a bad performance out of Christian Bale. Terminator Genisys spoiled its best twist in the trailers, revealing John Connor was a Terminator. What should have been an emotional, wrenching twist is undercut by Jason Clarke’s melodramatic performance that could make John Lithgow seem nuanced. While The Terminator involves time-travel and the nature of fate, it is a slasher movie at its heart. The synopsis of “Unstoppable killer chases teenage girl” could refer just as readily to Friday The 13th: Part 3. It is fascinating how in the 80s movies became action movie franchises out of nowhere. Terminator was a slasher film and became an action movie franchise in the Sequel; I could suggest the same of Alien/Aliens. First Blood was a powerful film about PTSD and turned into an action movie franchise in the sequel. Either way, the first two Terminator films are genre classics. They feature iconic characters, rich themes and detailed prophecies of automation. Audiences clamoured for more, but legal wrangling saw Terminator 3: Rise of the Machines take twelve years to be made. It arrived minus James Cameron or Linda Hamilton’s Sarah Connor and did not live up to years of expectations – things get worse from there. Cut to 2018 and Cameron reacquired the rights to his creation and shepherded Tim Miller’s Terminator 6 into production. Also returning are Arnie and Hamilton, and it promises to be the true third Terminator fans dreamt decades ago. While it’s interesting to have Cameron etc back to scrub away years of disappointment, the question remains whether the series has any more story to tell. 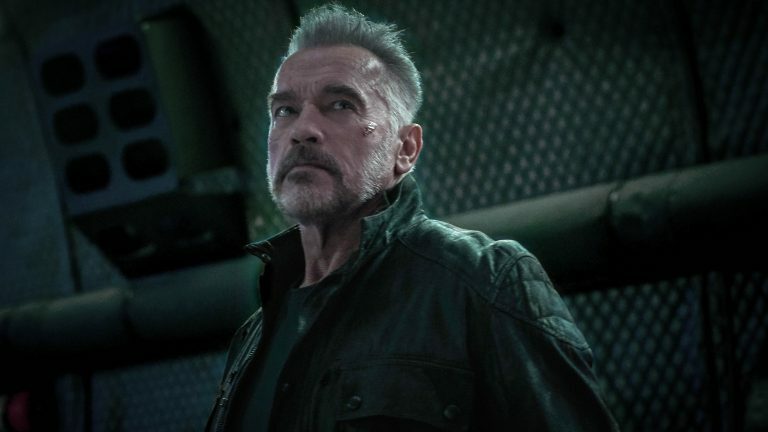 It is hard to know what angle another Terminator could take that has not been tried, and it seems like the last thing the series needs is another sequel that promises to be better than the last one. Cameron stayed away from the series because he did not have an approach that excited him, but in interviews discussing the sixth movie, he appears excited about where the story is going. He, Tim Miller and the writing team have already mapped out three films and state the next story will be a logical progression of the characters following T2. The new film will ignore Terminators 3-5, with Cameron dismissing them as alternate timeline tales. One reason the post-Judgment Day entries suffered was that they lacked Cameron’s leadership; case in point, one of the few inspired touches of Genisys was the idea Terminator’s age like ordinary people to explain Arnie’s appearance, was a throwaway idea by Cameron. Cameron has also lived to see his sci-fi ideas become science fact, with the rise of A.I., drone warfare and humanity merging with machinery. Both Cameron and Miller acknowledge we might dismiss the next movie, and their planned trilogy could fall through. They have let Terminator fans down for 25 years, and it will take something special to convince them there is anywhere left to go. The storyline for Terminator: Dark Fate is still secret, with only nuggets of information being disclosed about new characters and castings like Mackenzie Davis as an original lead character, but a more definite picture will not develop until later this year. With Cameron, Arnie, Hamilton and many talented filmmakers backing it, this is the best chance the series has had of a resurrection in a long time – because if it fails, they will terminate the franchise for good. So long as Linda Hamilton is in it, I am ALL IN! I didn’t recognize Arnold at first, with the beard and everything.